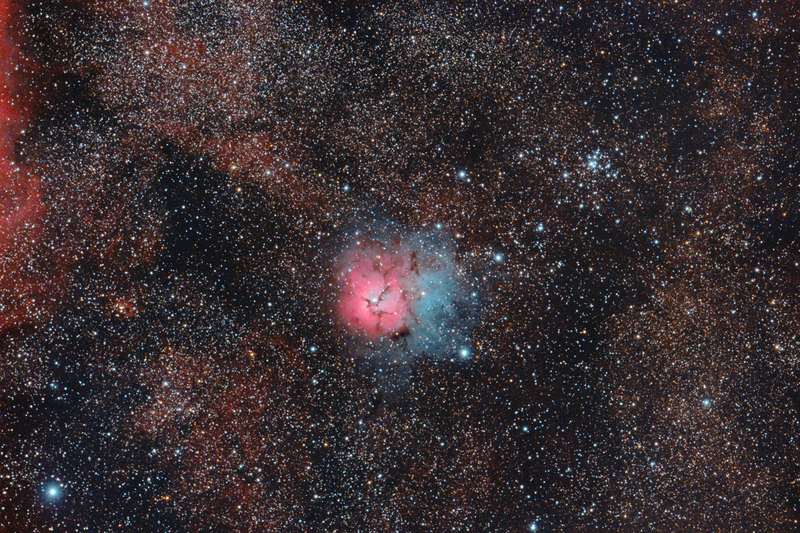 Messier 20 or the Trifid Nebula is an H II region located in Sagittarius. It was discovered by Charles Messier on June 5, 1764.Its name means 'divided into three lobes'. The object is an unusual combination of an open cluster of stars; an emission nebula (red portion), a reflection nebula (blue portion) and a dark nebula.